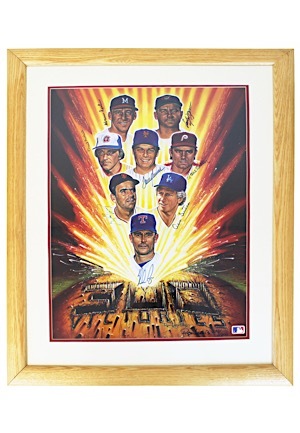 This approximately 25x31” framed display piece reads “300 VICTORIES” and depicts eight MLB pitchers who all won 300 games in their careers. 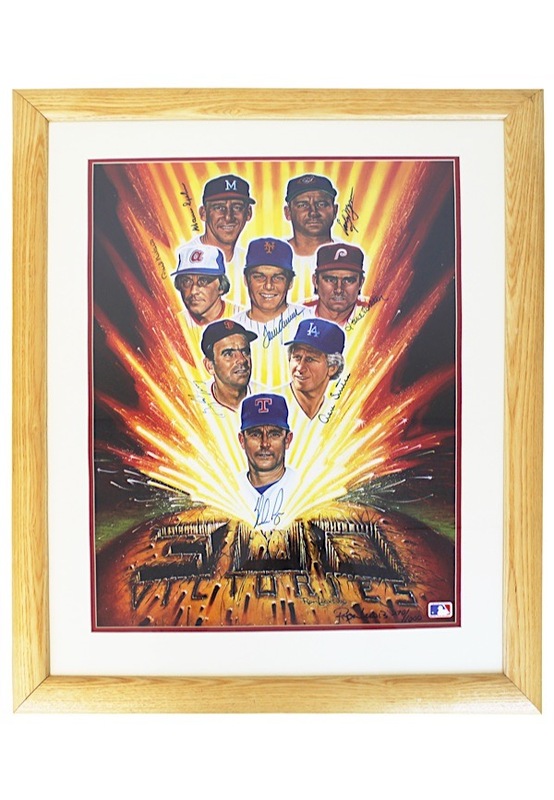 All eight players autographed on their respective picture including Warren Spahn, Phil Niekro, Nolan Ryan, Don Sutton, Steve Carlton, Tom Seaver, Early Wynn and Gaylord Perry. The signatures are done in blue and black ink and in our opinion rate a combined 9. The bottom left of the print has been signed by the artists and is numbered “270/1000”. Accompanied by a LOA from JSA.